You Say 4 Cameras On A Smartphone Is A Gimmick. Let’s See If I Can Convince You Otherwise. 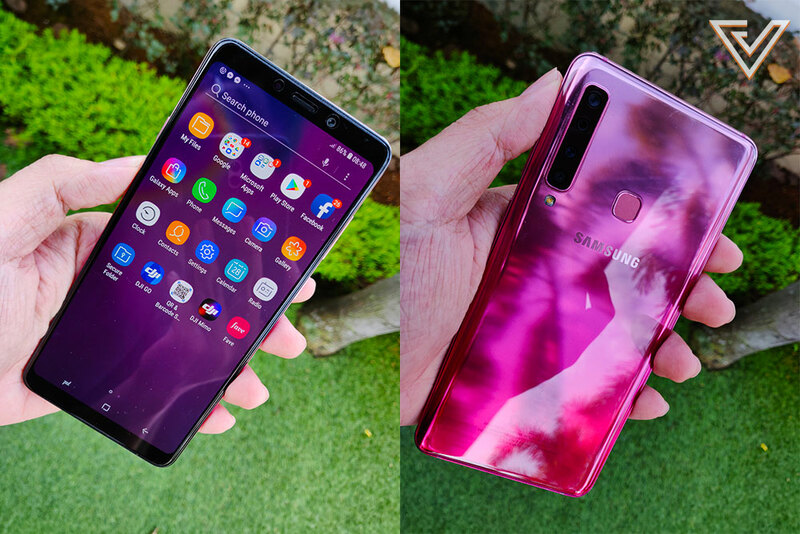 The Galaxy A9 is a smartphone released in late 2018 that comes with four rear cameras, including dedicated wide-angle and telephoto lenses. It has a midrange Snapdragon 660 processor, a 6.3 inch Super AMOLED display, and comes priced at RM1,999 or SGD728. 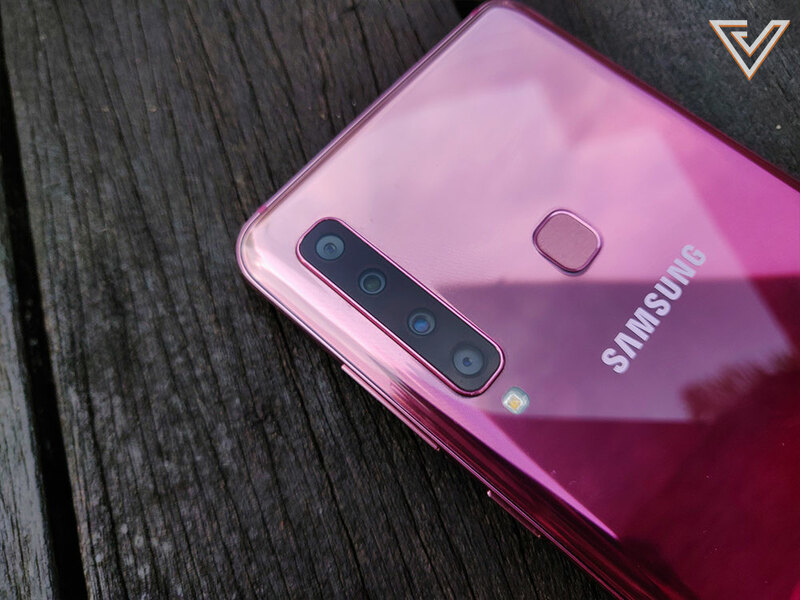 Towards the end of 2019, Samsung went and grabbed attention the world over by introducing a phone with four rear cameras—the Galaxy A9. 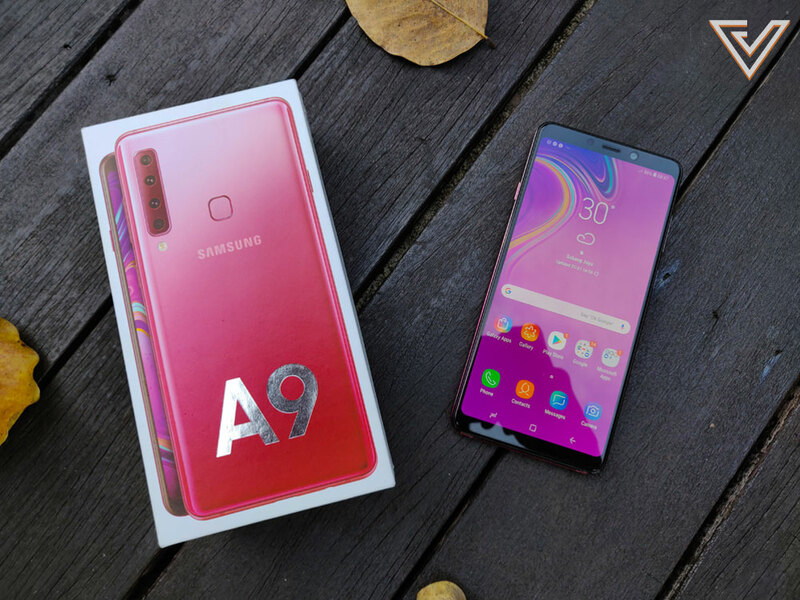 The first of its kind, the A9 came in as the most powerful entry within Samsung’s mid-range A line-up, just above the triple-camera Galaxy A7 which it launched alongside with. 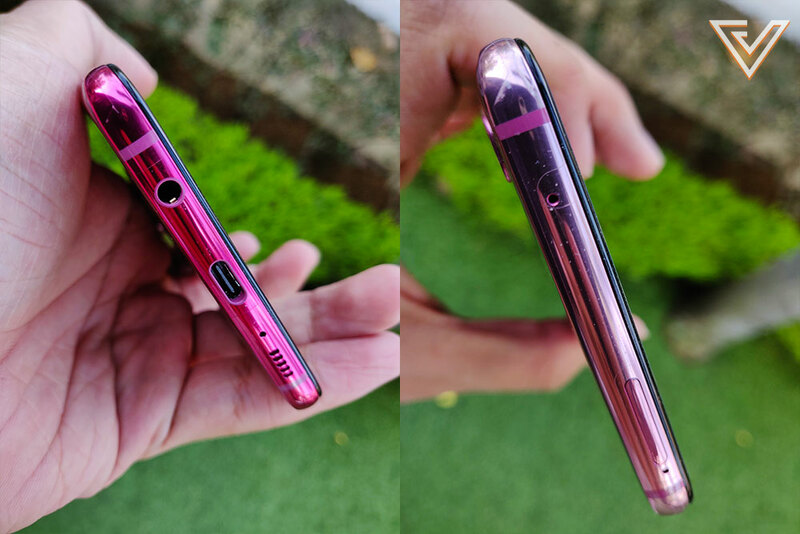 At a price of RM1,999/SGD728, the A9 promised to provide possibly the best camera experience of any phone within the midrange segment, and also include a number of features also found on higher-end devices such as a brilliant LED display panel and a relatively large battery of 3,800 mAh. Having already tested its little brother the A7 just a couple of months back, we had a pretty good idea what to expect with the A9—a well-rounded user experience with a particular versatile camera module. But did real-world usage match up with our expectations? I’ll do this review a little differently by going ahead and first talking about the camera. The quad camera module on the A9 was a world first. 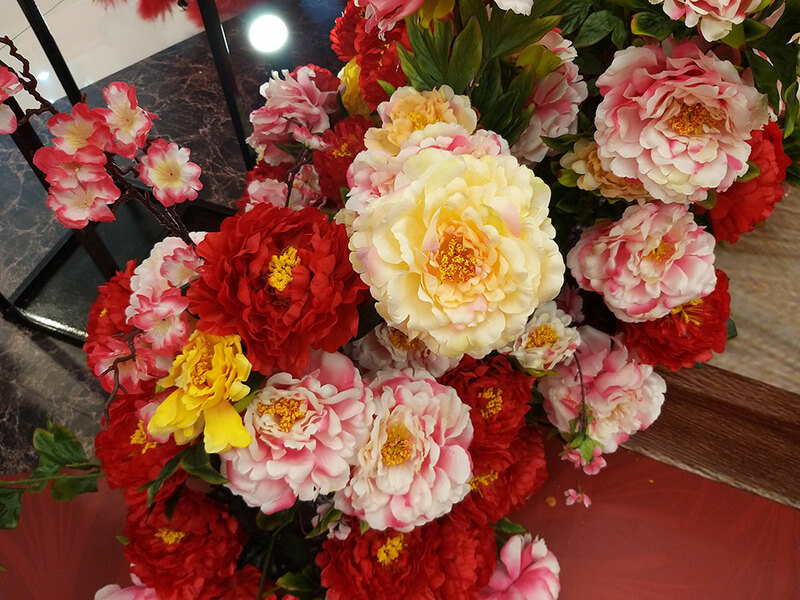 To start, I’ll go ahead and say that the quad camera setup on the A9 is good enough. Not great compared to the Pixels and iPhones of the world, but good enough for whatever it is you want to accomplish with an everyday camera in this day and age. 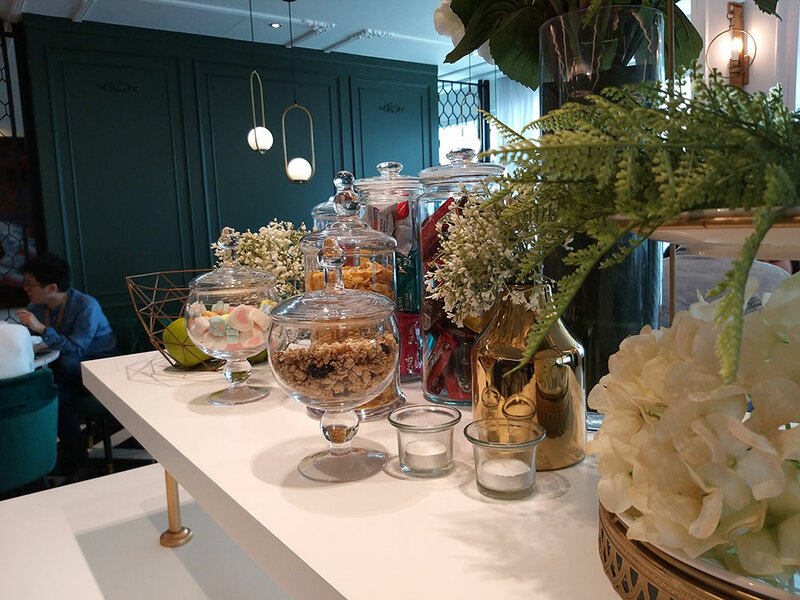 Basic photography with the A9’s main shooter was as good as you’d expect from a device at this price point, with image details coming out crisp and colours presented close to the real thing as opposed to the saturated imaging made popular by many of the Chinese phone brands. Taken with primary lens with scene optimiser. Taken with front-facing selfie camera. At the launch of the device, Samsung made bold claims regarding the A9’s ability to take wide-angled shots, putting forward stunning wide shots and panoramas as examples of what was possible. Photo taken using the primary shooter. 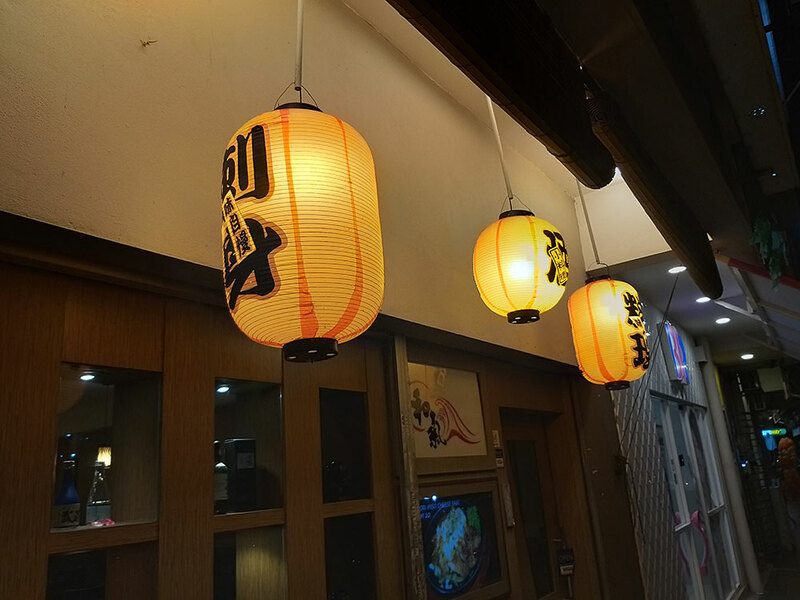 Same photo as above taken using the ultra-wide angle lens. In real life, the A9 was just as capable as Samsung promised, with the wide-angle lens making me a little bit disappointed again that more phones with steeper prices aren’t including the same option. In scenes with more to take in, the wide-angle mode was a great boon. 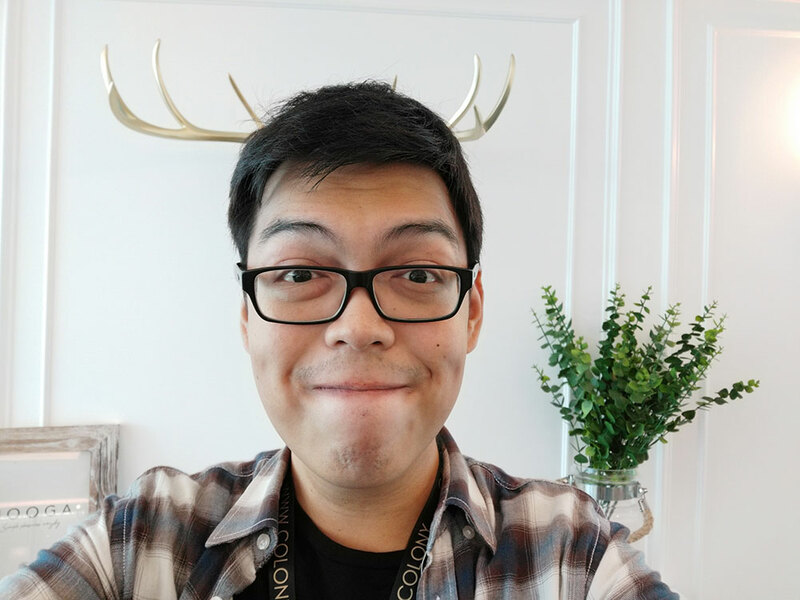 Aside from the obvious scenery, cityscape, and group photo shots, I also found it extremely useful during a session where I had to snap some indoor photos of a co-working space. Here, the wide-angle capabilities truly came through, making shots of the rooms and facilities look more complete compared to photos from a standard lens. Panorama shots are pretty spectacular with the ultra-wide-angle lens. At the price point it comes at, the quad camera really does a decent job as an everyday shooter, with the additions of dedicated wide-angle and telephoto lenses making sure that it’s capable in almost every situation you put it in. The only downside to be found here is yet again the common problem faced by most mid-range phones today—lowlight photography. In this regard, there’s really nothing to be said that we haven’t mentioned in other similar phone reviews already, with the problem of compromise between image noise and detail a recurring theme with the A9 as well. But that said, it’s common knowledge that if you really want the best photos in the dark, you have to splash the cash on more expensive models like the Google Pixel 3 or Huawei Mate 20 Pro. 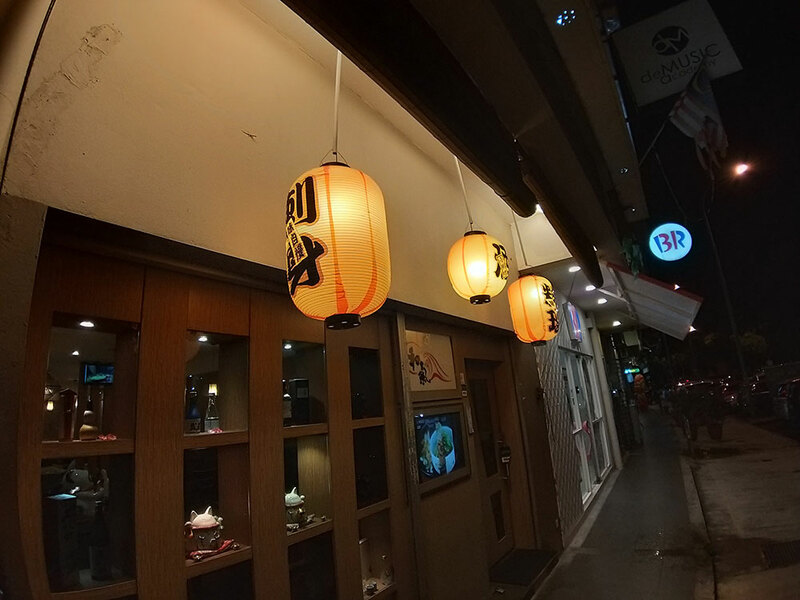 Until smartphone manufacturers develop their way into making low-light photography amazing even on lower-specced models (which they eventually will), we’ll just have to live with what we’ve got or invest a bit more into a more premium product. 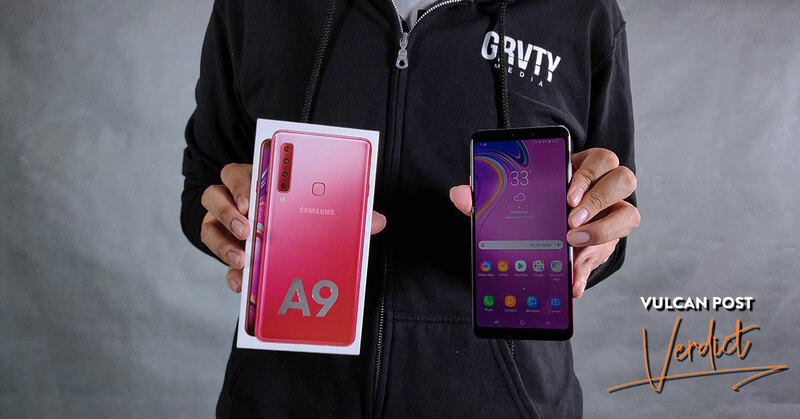 As for everyday usage, the A9 does everything you want it to just fine—internet browsing, emails, gaming, and calls all were done without a hitch, with speeds proving adequate for daily use. Just don’t expect it to be an exceptional multi-tasker or a speed demon—its Snapdragon 660 processor isn’t built to be a workhorse. A notable shoutout also goes to the Super AMOLED display panel, with its incredibly bright and vibrant colour reproduction making it appealing for heavy media consumers. It should also be mentioned that its battery life is also nothing to sneeze at, with its 3,800 mAh battery easily providing a full day’s worth of medium usage. The A9 held in the hand. Notice the vibrant 6.3 inch Super AMOLED Display in the front, and the glossy glass enclosure at the back. The A9 ships with Android 8.0 Oreo instead of the latest 9.0 Pie, something that might be a concern for users who are absolutely adamant on having the latest security patches and user features. But as we already know, one of Samsung’s big weaknesses as a smartphone manufacturer has been its slow updates, so while you can expect the latest version of Android to roll out for the A9 eventually, just be prepared to wait for a bit. The top and bottom of the A9. Thankfully Samsung still deliver their phones with headphone jacks. Despite the inclusion of a glass back, there’s also a lack of wireless charging to contend with, should you actually prioritise the feature. But considering the segment its in, this isn’t really that much of an issue. With the A9, Samsung has attempted to create a phone with an attention-grabbing gimmick in its quad rear camera, with the exception that this so-called gimmick also performs up to standard. Aside from a strong performance from the main shooter, the ability to do wide shots and zooms using dedicated lenses makes for a very versatile setup, although picture quality isn’t strictly the best in its category. But here we already cede that those are reserved for phones costing at least hundreds if not thousands more. Ultimately, the A9 doesn’t cost a bomb and will do well as an everyday driver. It just depends on what you really want in your phone. If you want speed, you have options like the Pocophone F1 within a similar price range. For options in photography, you’re good with this one. You can find out more about the Galaxy A9 here.